Last Man Stands Singapore T20 Cricket - Play Cricket! 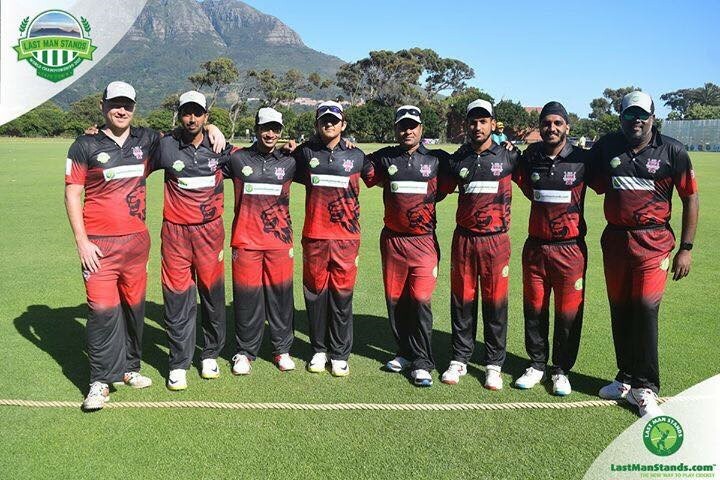 SG United team during their opening match of World Championship (Club's World Cup) at Western Province CC, Cape Town, South Africa during Dec 2017. SG United - Spartex Winners of LMS Singapore Seniors Season 6. Playing members with the Winners trophy and other prizes at Yorker Cricket Ground. Marina CC posing after qualifying for World Champs 2017 for South Africa. Marina CC at La Manga Club, Spain posing with legend Herschelle Gibbs during LMS Spanish Open 2017. Join Thousands of other Teams and Players Currently Playing LMS 8-a-side T20 Cricket around the world! Total Fees for matches: $300 Per Team Per Game to be paid upfront based on total number of matches. Deposit or Registration Fee for only new teams: One time annual payment of $320 Per Team or $40 Per Player. Teams can register any number of players. Deposit / Registration Fee should be paid within 24 hours after registeration and full payment of the league should be done within 1 week from deposit. 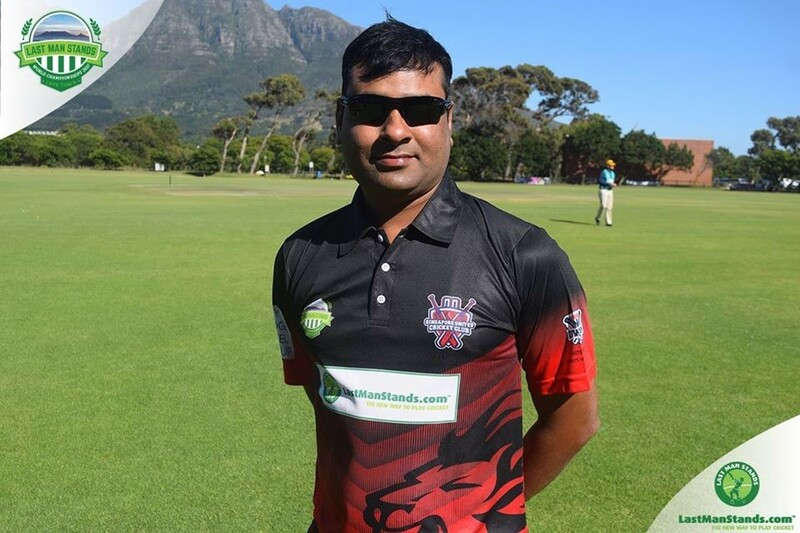 * Total fees is inclusive of registration fees of $320 for a team / $40 for a player which also includes a set of official colored LMS Shirts mandatory to wear during LMS matches. * Matches will happen with white ball & colored clothing. Our Twenty20 cricket league format suits players of all standards. so keep your inhibitions aside and don''''''''''''''''''''''''''''''''t worry about how good or bad you are - Get involved and play with Last Man Stands! - There are Three team trophies to be won : WINNERS. RUNNERS -UP & 3RD POSITION. Man of the match awards in every game & player of the tournament award will be given. - Teams can register any number of players till the league stage only. Once teams qualify for the knock out stage. no more player registration can be done in the team. - Every Team is bounded by LMS Terms and Conditions. Team spaces for the league are limited and League fee needs to be paid before securing a spot in a league. Teams can register any number of players. We will also be accepting Individual Player Registrations - these players will be placed with teams that require additional players to make a full squad. If you are looking to join a team as an Individual Player please email us at singapore@lastmanstands.com with some basic information about your game and we''''''''ll try to fit you with a squad that suits you. Its not like any other Cricket League in the World. Its Cricket with a Twist. Or is it? Two players can be dismissed off the same delivery. CAUGHT OUT and RUN OUT. Five balls per over. maximum of six per over. If a player clears the ropes (i.e. hits a six) off the LAST available ball of the innings it is worth 12 runs! This rule applies to both the first and second innings. Once a batsman has 50 runs to his name. he has to retire. He may return to bat should all other wickets fall. With our unique rules. everyone gets an equal opportunity to bat and bowl in the course of every match. It is a perfect chance to get your money''''''''s worth. New ball for every game. Manof the match awards. player of the tournament award & Team awards. Capturing of stats on the Global LMS website. Every Player receives league. regional. country and Global BATTING and BOWLING RANKING (which is updated once a week). - Get selected for World Series & Represent Singapore or your home country while playing in Singapore. Live Scoring via our software in Every Match. Team and Player Profiles with Full Stats History. - Team can register any number of players till the league stage without any extra cost (with the registration fee of SGD 320 per team). We will give 8 team shirts. If you need any extra shirts. 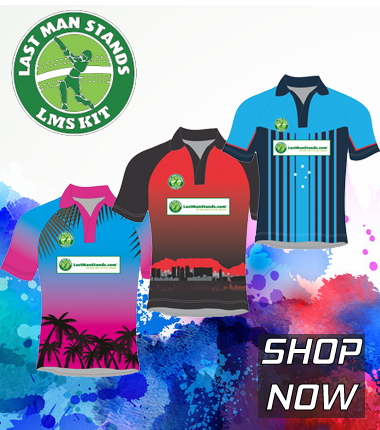 you can order directly at LMS Kit site or can ask us to order for you. Extra shirts will be charged at USD 20  25 per shirt depending on the designs. - A team should register minimum 8 players at least 10 days before the start of the tournament. - Shirts & trousers points will be decided by the umpire or league manager and there is no right to the opponent to give points to their opponent if they are not appropriately dress as per the dress code. - If you have any U 16 player in your team please let us know and we will send the parent consent & disclaimer form for them. Minimum age for junior player is 13 & maximum 2 junior players will be considered per team. They should bat at no. 4 or later and field in the places like 3rd man or fine leg. - To play in the knock out games. players should play at least 1 LMS Games this season for his team and no player exchange will be allowed in knock out games unless opponent agrees for a particular match. If player exchange is allowed by the opponent in semi finals doesnt mean exchanged will be eligible for finals or 3rd position game. They need to take another approval for next game. - There will be pro rated full refund of SGD 300 per team if both the matches on the day are called off when there are 2 games at the half day slot before the start of the match and if the rescheduling is not possible. Before refund. 1st preference will be to reschedule the game and availability will be checked with the teams & grounds. If can''''t be reschedule then each team will gets 4 points and refund. Same rule applies when there is only one game at 2 hour slot. - There will be no refund once the bowl has been bowled regardless of number of overs/balls have been bowled. Once the ground is used even for few minutes we need to pay the ground & officials as full. In this case. points will be shared. - There will be refund of SGD 170 if your match is totally cancelled before using the ground but 2nd match happens on the day. SGD 130 per team will still be charged for the ground as ground is accommodated for you and grounds are booked on half day basis. In this case. no rescheduling & teams will get 4 points each. - If a team gets walkover then they will get full SGD 300 refunded and 8 points. The team who doesn''''t turn up to the game or forfeits the game will be charged 300 x 2 (SGD 600) and will get -1 point. - We will keep rescheduling the semi finals or finals game until we get the game to play if the ball hasn''''t been bowled. If there is any rain cancellation once the bowl has been bowled and game is abondoned with no reslut or when rescheduling is not possible in semi finals or finals / knock out games. winner will be declared & qualify for next round based on the standings i.e. whoever is on the top will win & qualify. Minimum 8 overs each side required to bowl to get the result of the match. - Tied games will be decided by eliminated over. Please refer to the rules & regulation section for explanation. LMS format is fast format & fun. - Team is given 60 mins to complete 20 overs (see the main rules). - No drink breaks are allowed in between the innings unless someone needs it badly and emergency (both batting & fielding teams) as only 60 mins innings. - Umpire will keep the record of time and will take into consideration delays due to ball lost. injury. delay from opponent etc. - If the game is delayed due to ground handover from SeasonedPro (max 4:45 they will handover and usually we get it earlier) then if we deduct 1-2 overs per team due to delay from our side (ground issues etc) then $10 per team per deducted over will be reduced in the match fee. If 2 overs per team are deducted then $20 on match fee will be refunded. There is no deductions of overs until 4:55 pm. 1 over deduction if games starts at 5. - other delays due to rain. team coming late etc. no reduction in match fee. - Changing of field in between over is not allowed. Captain or bowlers are not allowed to change the field 2-3 times in between the over. They should decide at the beginning of over. Umpire are not so strict on this as far as you finish the total overs in time. - Season 6. 7 & 8 TOP 3 positions qualify for World Champs qualifiers (LMS Tours) happening around the world. The 2017 LMS World Championships was held in the picturesque city of Cape Town. South Africa between 9-16 December 2017. The Championship took place at the best grounds Cape Town has to offer - Western Province Cricket Club and was also streamed live across the globe. 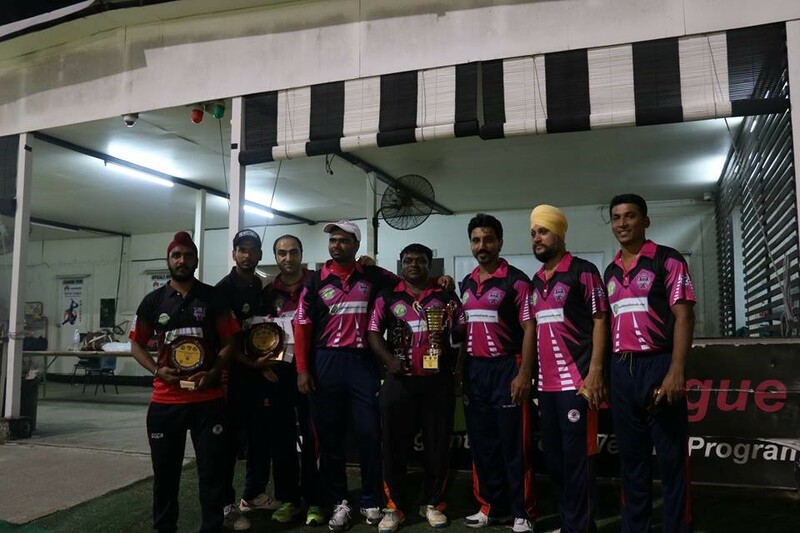 2 teams from Singapore - Marina CC & Singapore United CC participated in the event. 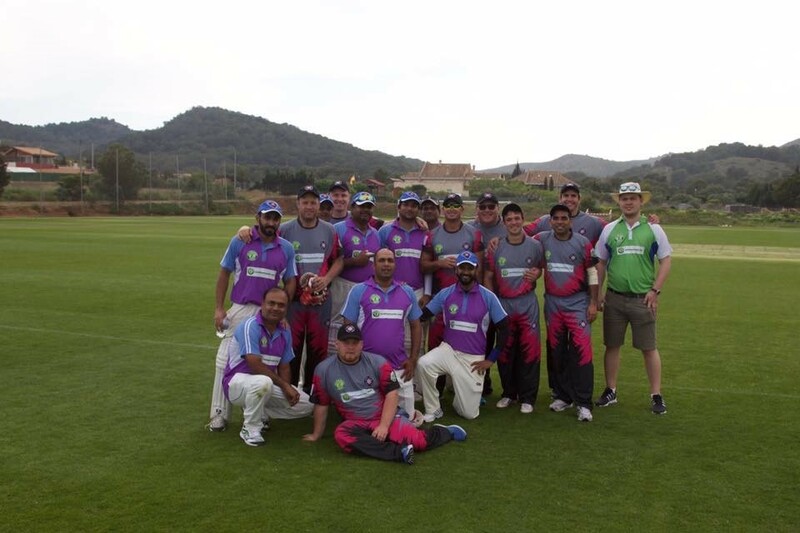 WE ARE DELIGHTED TO INFORM YOU THAT MARINA CC PLAYED IN LMS WORLD CUP QUALIFIER IN APRIL 2017 AT SPAIN (LMS SPANISH OPEN) & COMPETED AGAINST ONE OF THE TEAMS WHICH WAS CAPTIANED BY THE SOUTH AFRICAN GREAT HERSCHELLE GIBBS. THEY ARE ALSO EYING THE SPOT AT LMS WORLD CUP 2017 TO BE HELD AT CAPE TOWN. SOUTH AFRICA IN DECEMBER. LMS WORLD CUP HAPPENS EVERY 18 MONTHS AT VARIOUS INTERNATIONAL VENUES. REGISTER TO PLAY IN SINGAPORE LOCAL LEAGUE & TAKE A FIRST STEP FOR LMS WORLD CUP. Teams - Singapore United CC 1. Singapore United CC 2. Redbacks CC. Lanka Lions CC. Marina CC & Lagaan. Recent 30th June - 27th August 2017. was a World Championship Qualification Event. Marina CC won the season 3 & gained 150 World Cup points worth 1500$ (USD) and got a chance to participate in the World Championship held in Cape Town. South Africa (December 2017). Winning amount is to be used as a discount from the total package deal (7880$ for a team of Eight. mentioned below) of World Championship. 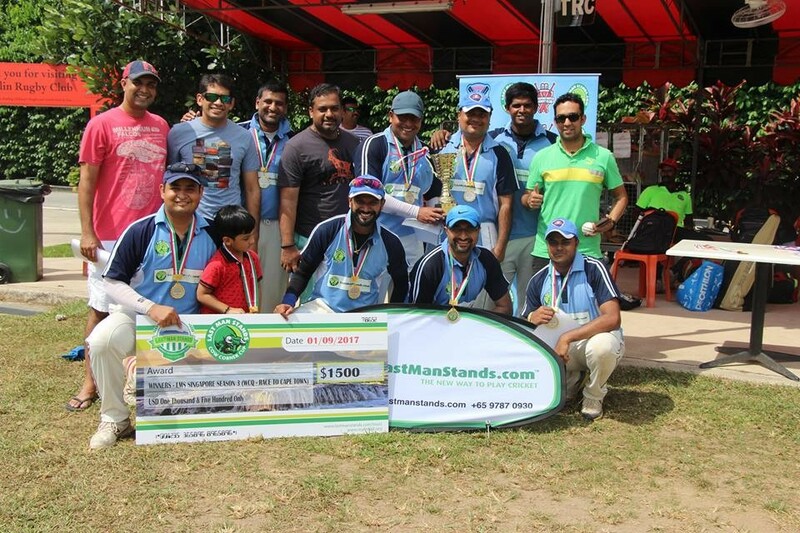 Singapore United CC1 also qualified as they finished Runners Up.Teams heading to the World Championships in 2017 stand a chance at winning a grand prize of $10.000.00 cash. Total Teams = 7 (Singapore United CC 1. Singapore United CC 2. Redbacks CC. Marina CC. Spartans CC 1. Spartans CC2 & Bangladesh Boys). Total Teams = 9 (Singapore United CC . Singapore United CC - Spartex. Redbacks CC. Marina CC 1. Marina CC 2. Spartans CC. Thamil Thalaiva. UMMS Warriors & Bangladesh Boys). Total Teams = 6 (Singapore United CC . Singapore United CC - Spartex. Marina CC. Spartans CC. Thamil Thalaiva. UMMS Warriors).